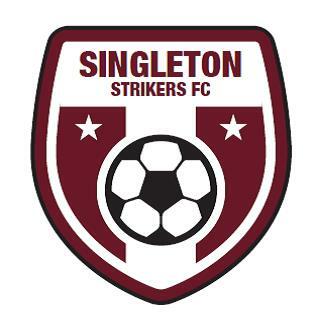 The Singleton Strikers hosted New Lambton last weekend. Singleton Strikers Under 15’s played New Lambton FC, who were just above Singleton in the table; unfortunately they outplayed us particularly in the first half. The game opened with Singleton having an excellent chance to open the scoring but alas they were too slow to pounce on the opportunity. New Lambton mounted attack after attack on Singleton’s defence and the pressure eventually paid off when a cross from the right wing was deflected by a Singleton defender into their own net. A great shot from Cameron Neal had the New Lambton keeper making a good save pushing the ball around the post for a corner, and that virtually sums up the only Singleton attack in the rest of the first half. New Lambton continued to attack and scored a second goal just before half time and deserved the lead. In the second half Singleton defence had the better of New Lambton attack but Singleton’s attack lacked penetration and did not create any real opportunities albeit the New Lambton keeper was forced to make 3 good saves from shots that were from outside of the penalty box, the score remained 2-0 in New Lambton’s favour. Isaac Small had a great game in the Singleton defence and he was well supported by Josh Piebenga and Tyler Morris. The Betts Bower Haulage Singleton Strikers U17’s were under pressure early against a strong New Lambton team, and the pressure soon told as the visitors took an early lead. Midway through the half a penalty was awarded, and duly converted, by the visitors giving them a 2 goal lead. And then, in the shadows of half time, a second controversial penalty to New Lambton saw the game effectively put to bed when they scored and took a commanding 3 goal lead. The rot continued in the second half with a confident looking New Lambton running amok against a lacklustre Singleton. A dour second half ensued – whether Singleton improved or New Lambton put the cue in the rack is subject to debate – but the 40 minutes produced little of note with New Lambton adding a lone goal mid way through the period. The Viatek U19 game started evenly with both teams creating chances without really looking thye were going to score. But Singleton struck the first blow when Nathan Smart rose majestically above the pack to head the Strikers into the lead. But the lead was shortlived as the New Lambton struck back twice in quick succession to bring up the half time score of 2-1. New Lambton continued to exert their superiority in the second period and soon added a third goal. It was then one way traffic and Singleton done well to scramble in defence and keep the visitors scoreless until near the end, when New Lambton scored their 4th and final goal. The U23 fixture was only minutes old when Singleton gave up a penalty kick for a simple hand ball infringement. But Singleton goalkeeper Ryan Guihot was up to the task and saved the spot kick with aplomb. But New Lambton soon struck the first blow when a corner kick somehow found its way into Singleton’s net. The Strikers gradually fought their way back into the game with influential midfielder Tom Golding prominent, but the score remained 0-1 at the break. The normally reliable Luke Geipel had the chance to restore parity for the Strikers but skied his effort well over the cross bar. Both teams rallied, and the game grew into an exciting fixture. The game ebbed and flowed with end to end attack. Singleton scored through Jacob Hill. New Lambton replied. Hill scored his second with a well taken strike. The Strikers were then awarded a penalty which Jacob Hill took with consummate ease to score his and Singleton’s 3rd and winning goal. As the intensity grew, the tackles started flying in. New Lambton had a player red carded for referee abuse, and Singleton’s Nathan Willoughby was carried off groogy after a nasty head clash as the Strikers held on for a gutsy 3-2 victory. The Onekey Resources First Grade were under the pump early and New Lambton took an early lead after just 10 minutes. And Singleton gifted them a second goal just minutes later with some terrible defending. Joe Civello thought he had pulled one back but his goal was ruled off side. A half hour into the half and visitors effectively ended the contest with a third goal as the defence fell asleep waiting for an offside flag that never came. Half time couldn’t come quick enough for the home side. The second half was a much improved performance but it was too little too late for the Strikers. The visitors added 2 second half goals to round out a convincing 5 goal win.